We are looking forward to our upcoming trip to Tokyo (Japan), Taipei (Taiwan) and Okinawa (Japan). We’re also excited to experience Cathay Pacific’s first class cabin on our flight home. In order to book two first class tickets with our airline miles, we needed to adjust our itinerary to include one overnight stay in San Francisco, California. This is because we specifically wanted to fly on Cathay Pacific’s first class route from Hong Kong to San Francisco. We our flying home from San Francisco to Los Angeles on Envoy (a OneWorld partner airline) first class the next day. This means that will need to stay in San Francisco for one night. This is where our Starwood Preferred Guest (SPG) Starpoints earned from our American Express SPG card credit card become useful. 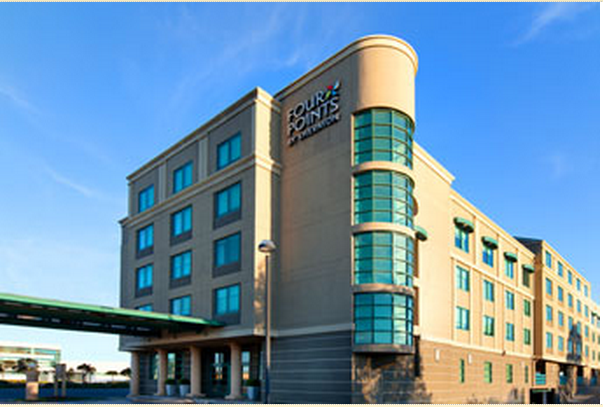 The Four Points by Sheraton Hotel & Suites San Francisco Airport is only 1.5 miles away from the San Francisco International Airport (SFO) and very close to the downtown area. They provide free shuttle service to and from the airport. As usual with most Starwood properties, high speed internet, bottled water, coffee and snacks are complimentary. 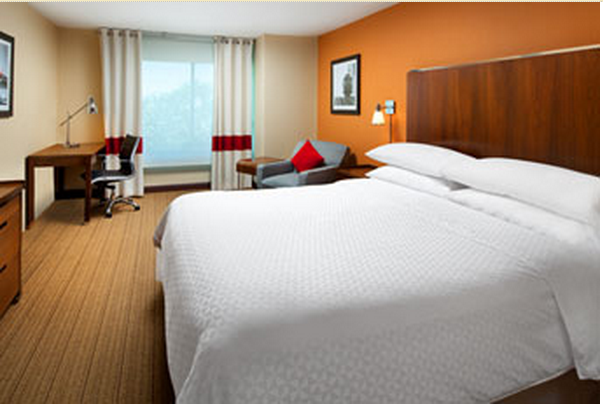 If we were to pay cash for this hotel room, it would cost $144 per night. 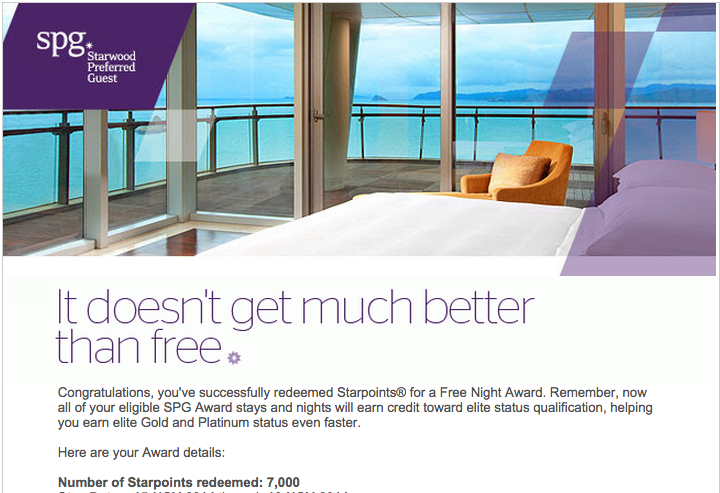 Thanks to Starpoints, we are able to stay here for 7,000 SPG points and $0 cash! Saving money on a free flight or a free hotel stay allows us to use that money towards attractions and food on our vacation!